Tamil Government officially released a press note on filling Computer Teacher vacancies across 814 newly upgraded Higher secondary schools. Tamilnadu TRB Computer Teacher Recruitment 2019 814 Posts Computer Instructor details given below. Recently in News Paper they mentioned 748 Posts. Candidates should not be over 57 years as on 01-07-2019 as the age of superannuation is 58 years. i) Post Graduate with at least 50% marks (or its equivalent) from recognized University and Bachelor of Education (B.Ed.) from National Council for Teacher Education recognized institution. ii) Post Graduate with at least 45% marks (or its equivalent) from recognized University and Bachelor of Education (B.Ed.) from NCTE recognized institution in accordance with the National Council for Teacher Education (Form of application for recognition, the time limit of submission of application, determination of norms and standards for recognition of teacher education programmes and permission to start new course of training) Regulations, 2002 notified on 13.11.2002 and National Council for Teacher Education (Recognition Norms and Procedure) Regulations, 2007 notified on 10.12.2007.
iii) Post Graduate with at least 50% marks (or its equivalent) from recognized University and B.A. Ed./B.Sc. Ed., from any NCTE recognized institution. The above NCTE norm is applicable with the below mentioned relevant subjects as per Letter Rc.No.008101/V1/E2/2019, Dated 22.02.2019 of Director of School Education. Master’s Degree in Engineering or Technology in Computer Science / M.Tech Degree in Computer Science / Computer Engineering /Information Technology / Software Engineering from any recognised University or its equivalent and B.Ed., / B.A. Ed.,/ B.Sc. Ed., by recognised University or its equivalent. Master’s Degree in Computer Applications / Master’s Degree in Computer Science or Information Technology from any recognised University or its equivalent and B.Ed., / B.A. Ed.,/ B.Sc. Ed., by recognised University or its equivalent. The Government of Tamil Nadu has approved the creation of new computer labs in 814 government schools which are upgraded as Secondary School in Tamil Nadu. Its to be noted that Computer science course was already started in 525 (out of 814) higher secondary schools from 2007-08 to 2015-16 and temporary teachers were appointed for those vacancies as now. There are no computer science courses in the remaining 240 schools. School students have been asked to join the Computer Science Course and they are unable to start the course due to lack of financial resources. 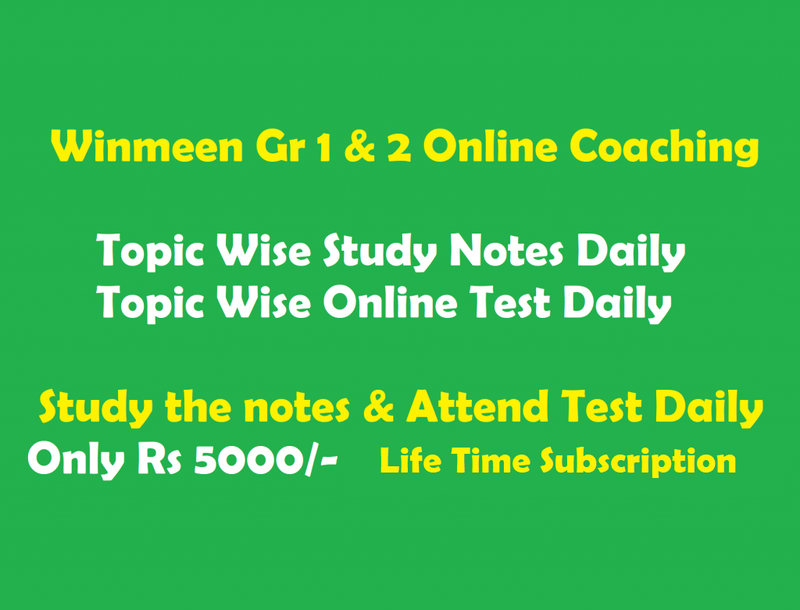 B.Ed , B.E (CSE), BSC (Computer science), BCA, BSC (IT) candidates are eligible to apply for this post. Earlier in 2014, 652 computer teachers were selected for state higher secondary schools in state-level recording. Currently all teacher posts are filled by Teacher Recruitment board (TRB). Therefore, the newly approved 814 computer teacher vacancies will be filled up by Teacher Board Examination. State level competitive written exam will be conducted and based on the marks candidates will be shortlisted. Stay tuned with www.winmeen.com for further updates. I have completed my M.E in cse. Am i elligible? sir please date and syllabus. Plz publish the computer syllabus and exam date??? please publish the cs syllabus. ..
ur not eligible in dted .only eligible b.ed. When will be the computer science teacher recruitment through trb exam ? Plz silabus and exam date. When are you pablised exam date and syllabus? Have u completed B.ed? if not so u r not eligible..
B.E cse candidates also mentioned in the eligibility criteria whether only B.ed is eligible. IS B.Ed must FOR COMPUTERSCIENCE TRB? what about syllabus guys…. and pls upload previous question paper and study materials related to this computer science…. I have completed BBM., M.Sc (IT)., Mphil computer science., B.Ed. Can I apply for Computer Instructor post. MCA B. ED is eligible to apply for tis post? Idhu unmaiya illa computer science bed padichavangala emathurathugu nienga podura kan thudaippu natagama..
எக்ஸாம் ல பாஸ் பண்ணினா ஜாப் conform ah? கிடைக்குமா? when will u publish the syllabus? Please send me a copy of syllabus sir. Sir, pls announce the exam date and syllabus. may be next year . Bsc maths Bed with MCA am I eligible forthi post. Bsc maths Bed with MCA am I eligible for this post. B.Tech IT is eligible or not? i want information about the news and which news paper with date ? I am mca , b.ed please release the exam date and syllabus . anybody know about tentative date for trb computer instructor 2017 exam date.please know about it any idea share it. I have finished my MSC in computer science.Now I am doing B.Ed (First year). Am i eligible to write this exam? Special B ED is eligible for Trb Examination….. I have completed only bca …. is i eligible for this?